Loosely based on the story of Oliver Twist, Lifted is premised on the narrative of a band of B-Boys(thieves/pickpockets). The house community or church attempts to avoid this band of pick thieves by casting them aside and labelling them all as bad with no hope of redemption. This presentation addresses disappointment, the pain of revenge and forgiveness. Harris’ Lifted features a live choir in addition to the stunning dancers of Puremovement. 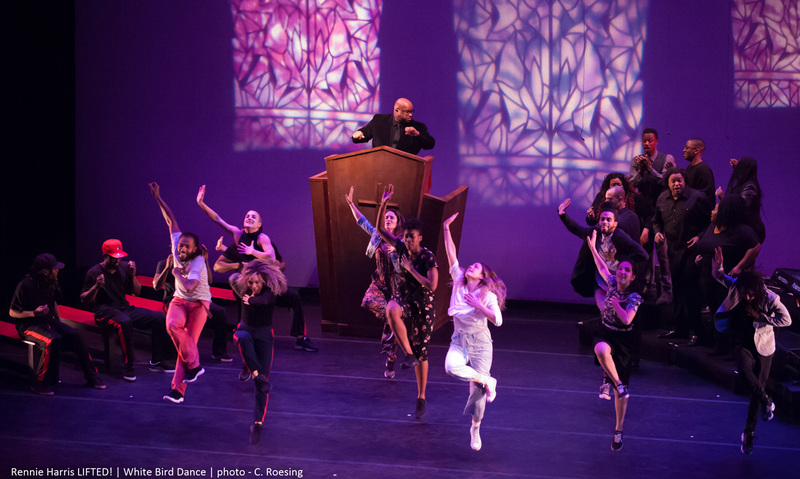 This highly theatrical, narrative work merges the spiritual vocals of gospel with the powerful rhythms of house music and dance to explore contemporary issues of morality and spirituality.